AmpliTube MAX includes all the gear available inside AmpliTube 4 Deluxe, AmpliTube Fender®, AmpliTube MESA/Boogie®, AmpliTube Orange®, Ampeg® SVX, AmpliTube Jimi Hendrix™ Anniversary Edition, AmpliTube Slash, AmpliTube Metal plus all of the additional name-brand gear models from the AmpliTube Custom Shop (as in february 2016) featuring the industry’s best manufacturers for a mind-blowing total of over 300 pieces of gear. 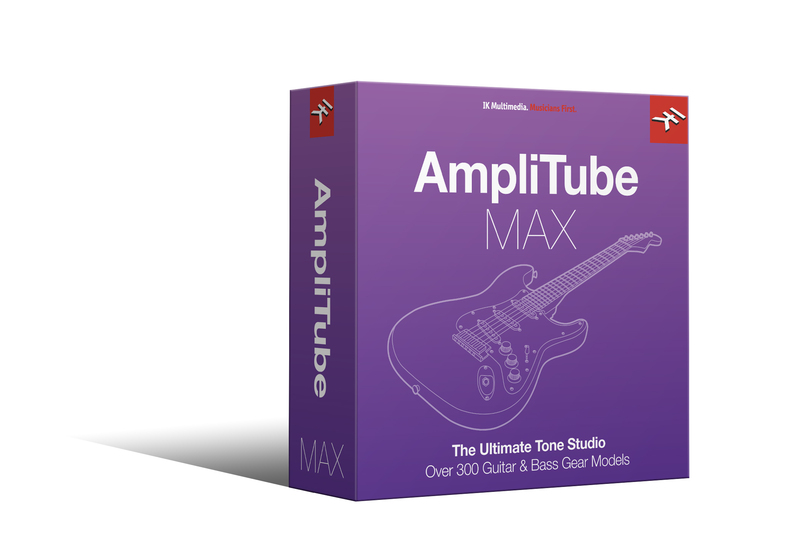 Think about that for a second: With AmpliTube MAX, you can build gear combinations that cover virtually every guitar or bass sound ever created on every record since the beginning of recorded time. Pretty amazing, huh?